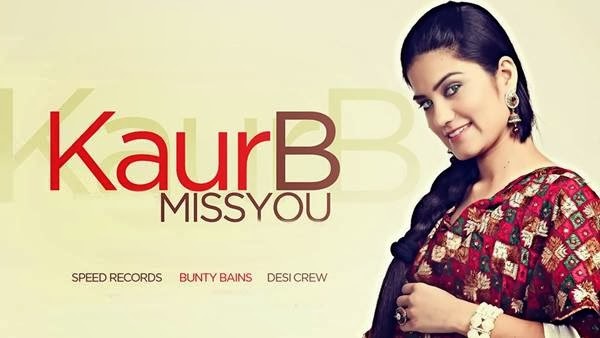 Miss U is A Nice Track From Young Talent Raised From Voice of Punjab, Baljinder Kaur, Now Known as Kaur B. Lovely And Effective Vocals in All Genres, She has Set Herself as A Quality Singer And She Has Put Herself A Mile Away From Aalu-Sabzi Concept of Miss Pooja. She Became Famous With 'Pizza Hut' And Recently She Did A Song With Kanwar Grewal, "Allah Hoo" Touches The Depth of Heart. Miss U is A Collaboration of Various Artists But Entitled On The Track Sung By Kaur B. Lyrics are penned by Bunty Bains and Music is composed by Desi Crew.